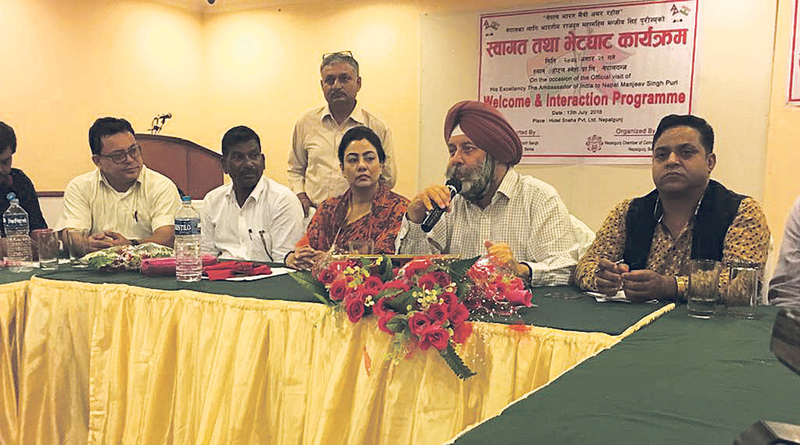 Indian envoy to Nepal, Manjeev Singh Puri, and FNCCI President Bhawani Rana, among others, at an interaction organized in Nepalgunj on Saturday. KATHMANDU, July 15: Nepali industrialists hope that direct air link between western Nepali town Nepalgunj and Indian capital New Delhi would be a game changer for the economic development of Province 5. At a meeting organized in Nepalgunj on Saturday by Nepalgunj Chamber of Commerce and Industry (NCCI), they said the direct flight would boost trade connectivity between Nepal and India. President of Federation of Nepalese Chamber of Commerce and Industries (FNCCI) Bhawani Rana and Indian Ambassador Manjeev Singh Puri attended the meeting. According to a press statement issued by FNCCI on Saturday, president Rana said that the Nepalgunj–New Delhi flight would be the entry point for the Kailash Mansarovar tour, which is popular among Hindu devotees of India. “This flight can contribute toward development of the entire province,” Rana said. “Connectivity plays a major role in trade relation between the two countries. It will allow Nepal to benefit from the economic development of India.” She further stressed on the need for direct air connection between other major cities of Nepal and India. Likewise, during upcoming Nepal-India Investment Conference, Nepal will have a detailed discussion with Indian officials regarding joint investments, cooperation on development infrastructure, and development of agriculture and tourism sectors of the country, she added. 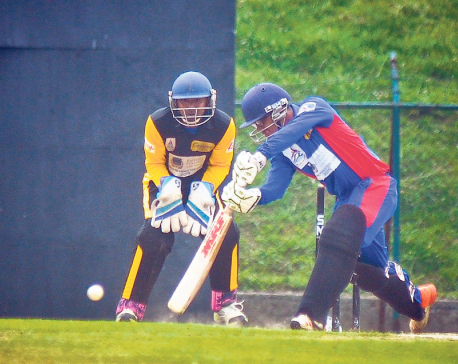 Industrialists suggested that tourism infrastructures and packages should be developed and promoted in view of attracting Indian tourists into Nepal. Nepal’s private airline company Buddha Air has received flight operation permission from Civil Aviation Authority of Nepal (CAAN) for Nepalgunj–New Delhi flight. At the meeting, Nepali industrialists also requested Indian authorities to ensure easy entry of Nepali vehicles in India.